My almost two year old has been rather focused on learning his colors. He sings songs that go something like this – blue, green, yellow, green, and so on. He even woke up one night saying “blue, no purple, no blue.” Clearly colors are on his mind. If I’ve learned anything from my first son, it’s that these moments of interest can be fleeting. One week it’s colors, the next it’s diggers, the next it’s skeletons. So, for me it’s important to jump on the bandwagon while it’s there. For C’s color parade, I jumped right in. I put together a fun matching game that he can play whenever he wants. 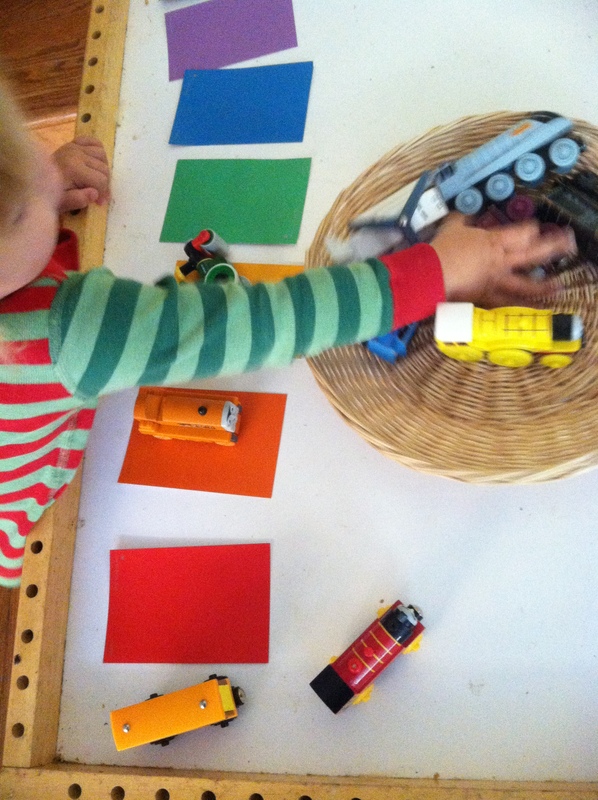 He matches his favorite toys (cars or trains) to color swatches. Sometimes he just plays with the swatches, other times he actually does the matching component. By the way, the color swatches are paint swatches from Home Depot. But you can use anything. In addition, we’ve been reading books about colors. His favorite is Brown Bear Brown Bear by Eric Carle, which teaches the names of animals in addition to teaching colors. It’s rhythmic cadence makes it fun to read time and time again. Another book is Baby Colors, which has darling pictures of babies dressed in clothes of a certain color. I like this book because it also has photos of real life objects that C can easily identify. 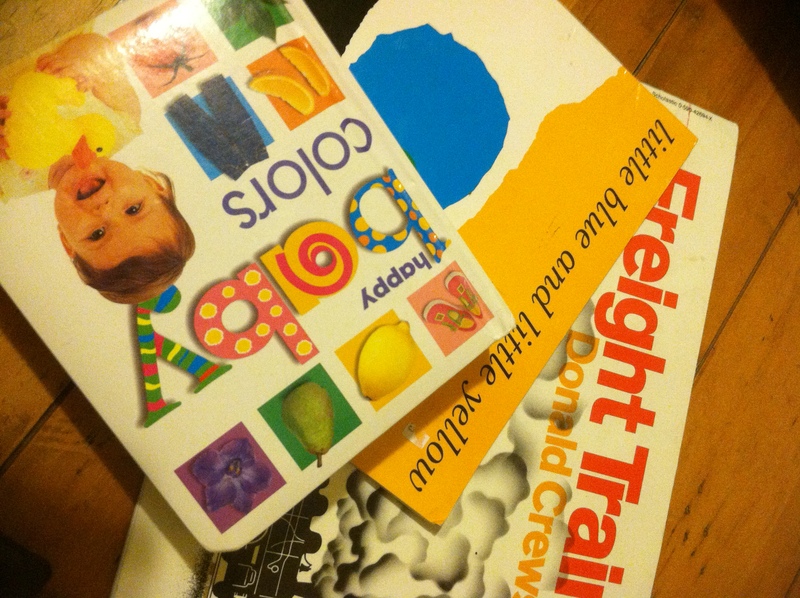 Since C is into trains, Freight Train by Donald Crews is another winner. Who doesn’t like a book that combines trains with colors? Lastly, Little Blue and Little Yellow by Leo Lionni is a classic. It begins to teach the idea that colors can combine to make a new color. When I read this to C, he was speachless. Lastly, we play the tot version of ISpy in the car. It goes something like this, “I spy something green.” C looks out the window and starts talking about whatever he sees. Then, I ask him if it’s green, etc. This one works well, especially when he starts to fuss. It takes his mind off of things. What’s your favorite way to teach colors? I’d love to hear! This entry was posted in activities, eagle mom, montessori, Preschool, rainy day fun and tagged Brown bear, Color, Donald Crews, Eric Carle, Graphics, Home Depot, Leo Lionni, Reading, Reading (process), Web Design and Development on October 24, 2013 by Modern Mama.